The report offers the usual advice for those hoping to ward off heart disease: eat a balanced diet of mostly plants, exercise, don’t smoke, etc. But the new recommendation against daily aspirin follows a 2018 study that found aspirin’s benefits didn’t seem to outweigh its risks. “Low-dose aspirin for primary prevention [is] now reserved for select high-risk patients,” according to the guidelines. The 2018 ASPREE study recruited almost 20,000 people mostly over the age of 70 in the U.S. and Australia, hoping to study the effects of long-term, low-dose aspirin use. Previously, doctors had recommended a daily dose of 75 mg to 100 mg to avert heart disease. But the research found that people taking low-dose aspirin were just as likely to die over the course of the study period than those taking a placebo. The research also found those taking aspirin were more likely to have a major bleeding episode. 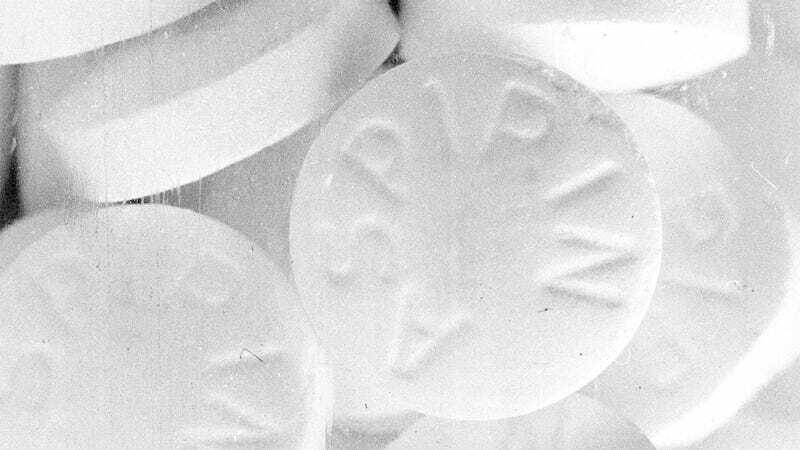 This study doesn’t show whether or not aspirin prevents heart disease—rather, it shows that its risks might cancel out its benefits. The American College of Cardiology recommends for now that doctors only recommend aspirin to those who are at the highest risk for cardiovascular disease and the lowest risk of bleeding, according to a statement. For everyone else, doctors should continue to recommend the stuff we don’t want to hear: don’t smoke, eat more vegetables and fewer processed foods, and exercise regularly. Health recommendations are ultimately based on the most current knowledge available, which means that new, long-term study results might overturn recommendations we once accepted as fact—like how eating lots of eggs was bad, then fine, then bad again. Only one thing is certain: death comes for us all in the end. How Does Aspirin Actually Work? Which Pain Reliever Should I Take For a Sports Injury?